Contact Consulting has been providing an array of business development services to clients in Western Canada since 1987. Based in Victoria, BC, the company specializes in helping small to medium businesses and individual professionals generate organic growth using effective and efficient methodologies, without ever selling. 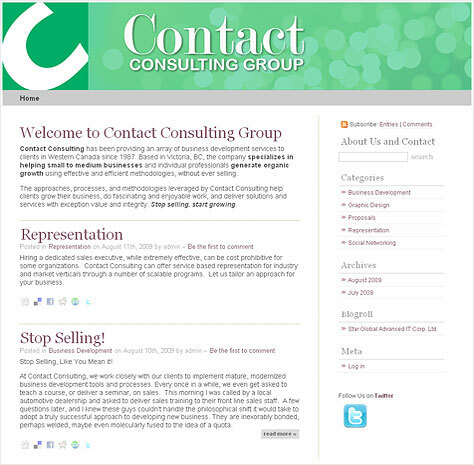 Star Global put together a Wordpress.org blog for Contact Consulting so they could take advantage of social media networking and turn readers into clients.